Curious, reliable, patient and sometimes impulsive are just a few attributes that are connected to pigs but can also make a great Heister! Start your criminal career now by securing yourself the best deal out there! 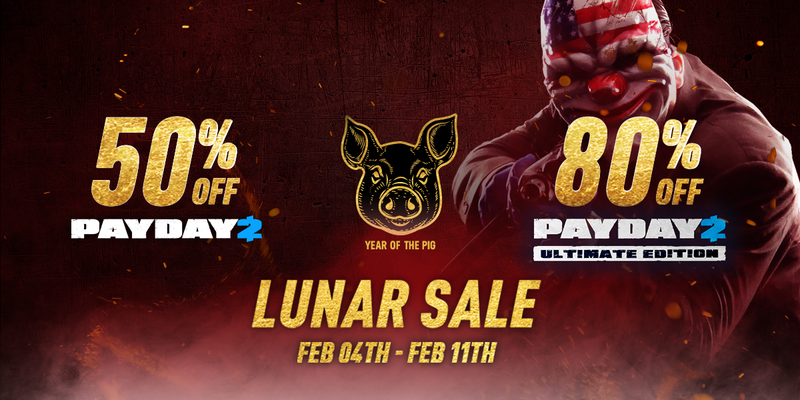 PAYDAY 2 on 50% and PAYDAY 2: Ultimate Edition on 80% discount until the 11th of February!